17.09.2018. Dubai – After joining the digital revolution in the largest B2B expo trade show in Latin America, America Digital, Cloud Worldwide Services made new advances towards laying the groundwork for international expansion, this time in the Middle East. In September 2018, the company attended Telecoms World, an annual exhibition created with the purpose of bringing together the entire TMT ecosystem in a heated discussion about the ongoing digital revolution, current technology developments, and the future landscape for the industry. The event connected mobile network operators, over-the-top media service providers, suppliers, telecommunication companies, and other technological companies such as CWS that work closely with telcos to deliver innovative solutions to the market. Having just announced its partnership with Telefónica España earlier this year, CWS took the opportunity to connect with some of the biggest telecom operators in the region, exchanging ideas and discussing possibilities for future expansion in the Middle East. 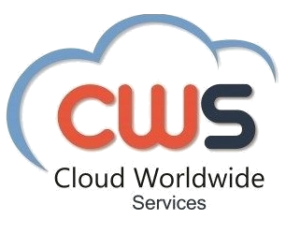 By building valuable connections, Cloud Worldwide Services planted the seed for choosing the next top market as a part of its plan for international growth and development. The event hosted more than 1000 attendees, 200 speakers, and over 75 sponsors and exhibitors coming not only from the Middle East, but also from Central Asia, South Asia, East Africa, and North Africa. It brought together hundreds of innovative companies to discuss the industry’s hottest topics focused on Mobile TV, broadcasting, media, content, SDN and NFV, among others. This event represented an excellent opportunity for CWS to discover the new drivers of demand and the role of cloud-based service providers in the telecom industry, the future consumption trends of bandwidth-hungry consumers, and the threat of digital natives such as Whatsapp, Skype, and Netflix over traditional operator services.